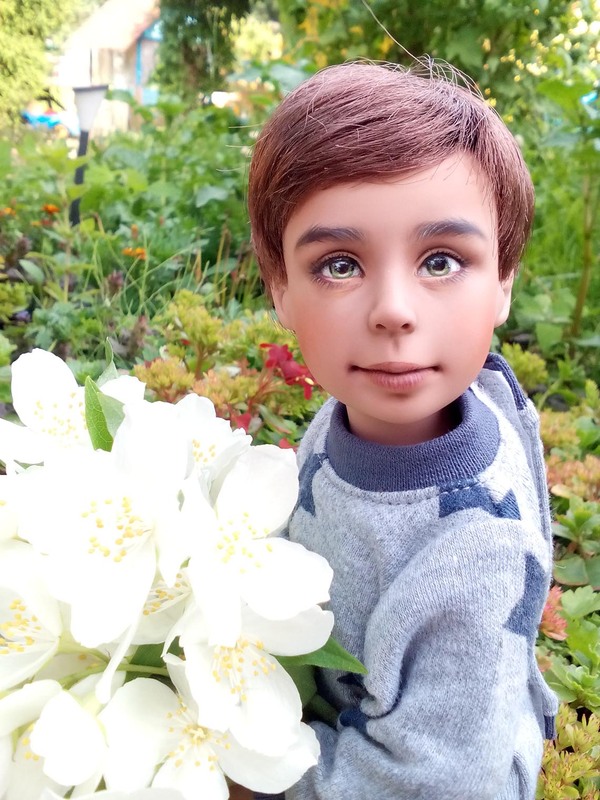 Looking at the picture, you might think that story is going to revolve around dolls — humanlike, carefully hand-painted by talented artists, and, oh, so pretty! You are right, but only partially. It’s about the power of inspiration as well — all that inspires you can bring you an army of wildly-enthusiastic fans of all ages and… money. We talked to Denis Bastien, the dolls’ father, as he calls himself, and the only employee of Affordable Designs Canada. 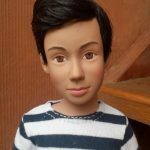 He is in his late fifties, and his role is quite simple — he does everything — from designing the dolls, the outfit, shoes, to selling online and shipping orders around the world. My name is Denis Bastien. I am 59 years old. My role is simple, I do everything. Also, he alone manages social media, the eCommerce site, press relations, meetups and several other projects. His 18-year business has come a long way. Denis started from eBay, that allowed him to present his work to the world, and ended up with an outstanding eCommerce website and lots of subscribers on Facebook. Now he is here to share his secrets about his remarkable experience in the eCommerce industry. Helen: Tell us a word or two about yourself. What are you responsible for in this business? Denis: My name is Denis Bastien. I am 59 years old. And I’m the owner of Affordable Designs Canada. My role is simple, I do everything. 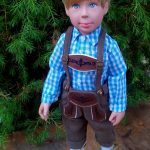 From designing the dolls, the outfit, shoes, to selling online and shipping the orders around the world. You can say that Affordable Designs Canada is a one-man show. Helen: You’ve been running this eCommerce business for over 19 years already. Wow! That’s a good deal of time. How did it all start? Who was your moving spirit, your Muse? Denis: I started the business because at the time I needed a job. Although I have never worked as a designer, manufacturer, or business administrator, everything came about very quickly and I discovered that this could be something I would enjoy doing. But most importantly something I was good at. Helen: Who is your audience? It looks like that not only children are fond of what you are creating. There are people of all ages among your fans, too. 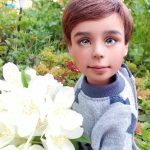 Denis: Not everybody knows that but there is a huge subculture of adult doll collectors who enjoy playing with your dolls. 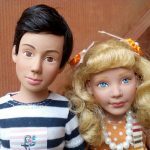 Usually, doll collectors are thought of being people who put expensive dolls in a cabinet and look at them. 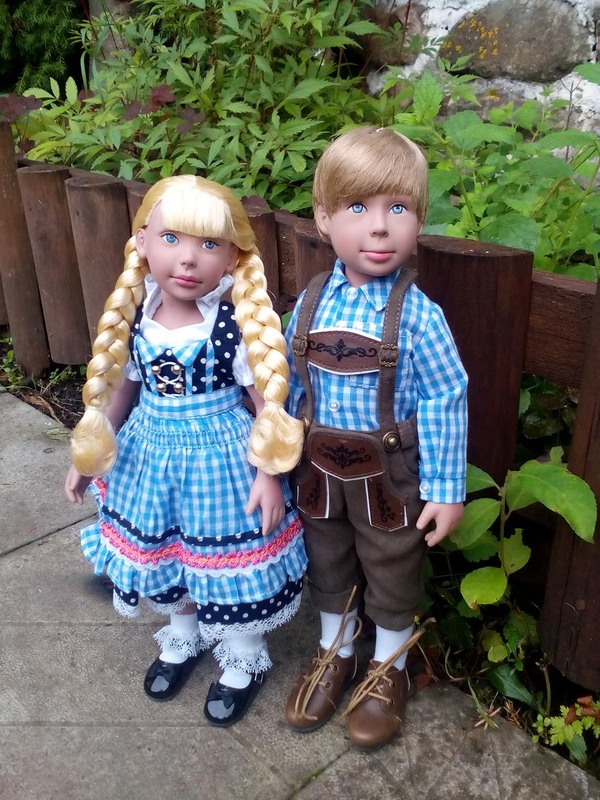 In fact, most doll collectors today take the dolls out of the box, redress them, pose them and take pictures and often create elaborate stories to share with other collectors. Most of my customers are adults. 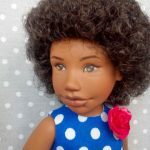 Although many of them enjoy the fact that my dolls are affordable to buy a few extra and share their passion with their grandchildren. 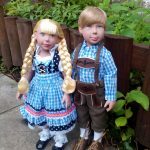 Maybe hoping they will become doll collectors too. Helen: I see your dolls have the voice. At least Leann, as she is managing your Facebook page and sends replies to your subscribers. 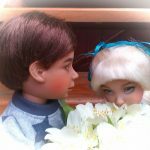 Do you think your dolls have got a soul, either? Denis: I decided to give Leanne a voice from the very beginning. Just because I thought it would be fun to read what she was thinking. It became obvious the collectors were enjoying hearing about her life, her thoughts. 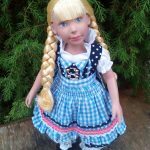 I do not really believe that dolls have souls but I do believe they provide the collectors with a way to use their imagination. 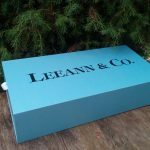 By giving a voice to Leann it has given the opportunity for my customers to talk to her as well. This has given me a lot of information, the inspiration to continue to create for the Leeann line. 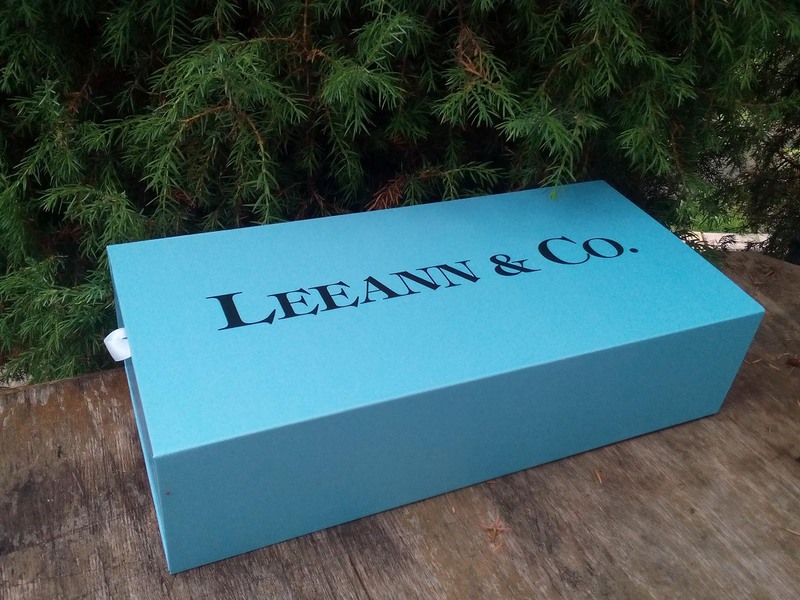 Helen: I can suppose that your website is named after your first doll, LEEANN. Am I right? 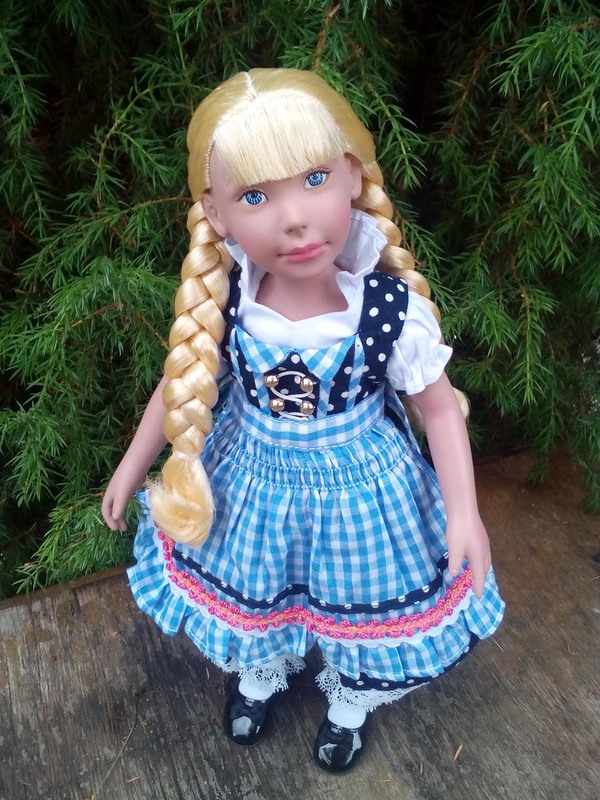 Tell us a few words about this doll. Denis: Correct. Leeann is my “star”. Everything revolves around her. Every new character in the line is either a friend, a neighbor, or someone from her school. I’m giving her a voice I also decided to present her as my daughter. I soon became known as Leeann’s Dad in the business, a title I am very proud of. I also think it is part of its success. Because Leann has a voice, has a dad, I believe it contributes to the play value of each item in the line. Helen: I noticed that it’s you who does the face paint and, oh, all your dolls look so real, just like living beings. Is it hard to make them look like that? 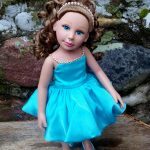 How much time does it take you to create a doll? Denis: At the beginning, I worked with other artists to create the prototypes for the first collection. 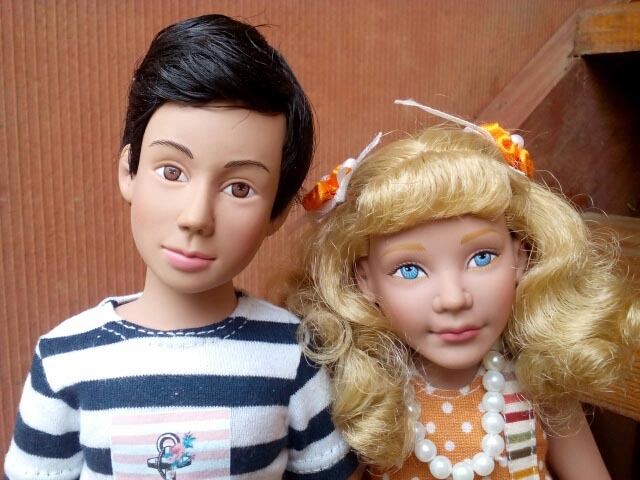 Each doll is hand-painted by talented artists at the factory based on the prototypes. To be honest I think the production dolls are even better than the prototypes. 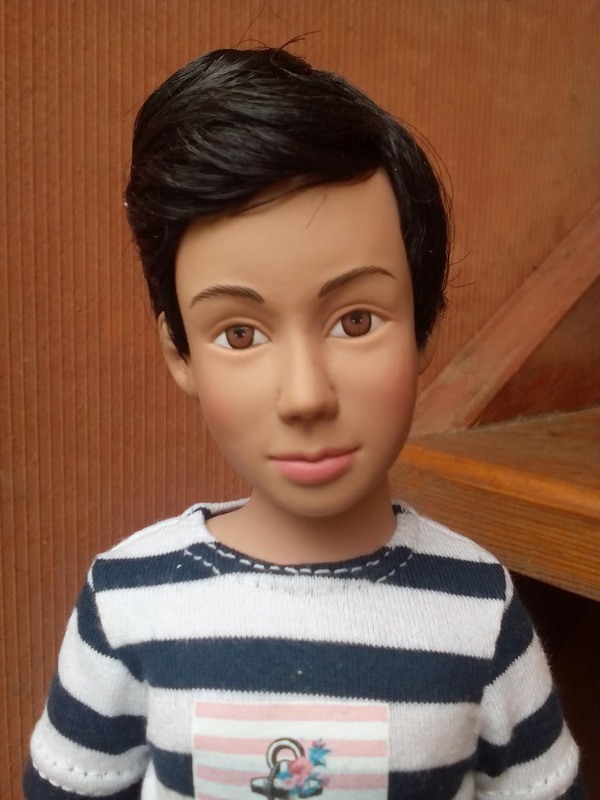 For me to create a doll it could take a week, a month, six months, even longer. It depends on the doll, it depends on my inspiration. Helen: Why do people keep asking you about LOULOU? Is it a limited edition? 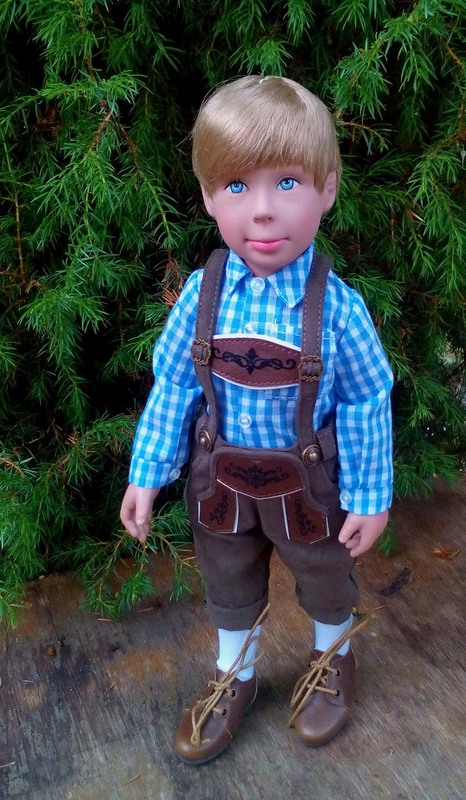 Tell us the story behind this doll. Denis: Every item in the Leigh Ann line is a limited edition. When I create something new for the line it gets produced in a Bergson quantity. Once they are sold, they are gone, never produced again. 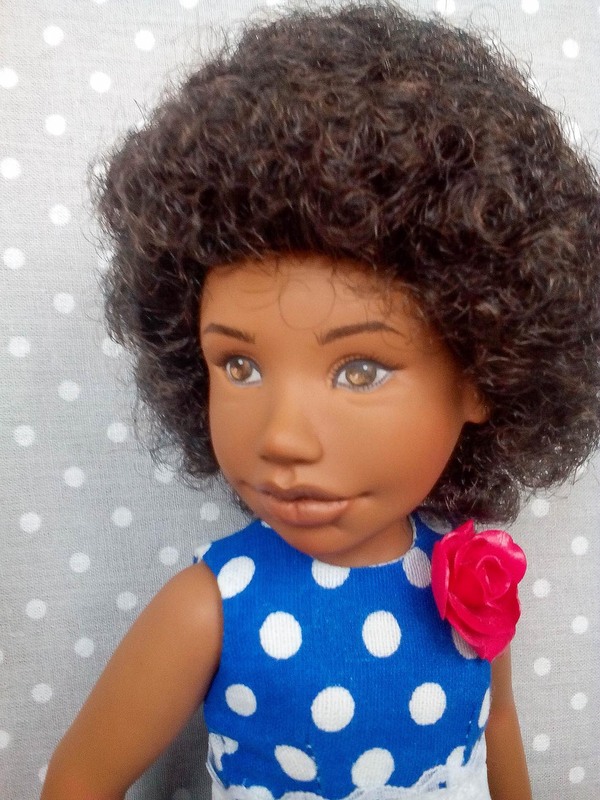 The reason people are talking about Loulou at the moment is that she is the latest character to be added to the line. In the future that will be new outfits, new shoes, new characters, and then we’ll talk about that. The important thing is to keep them interested, excited about my work. That’s a kind of trick that helps me sell online. 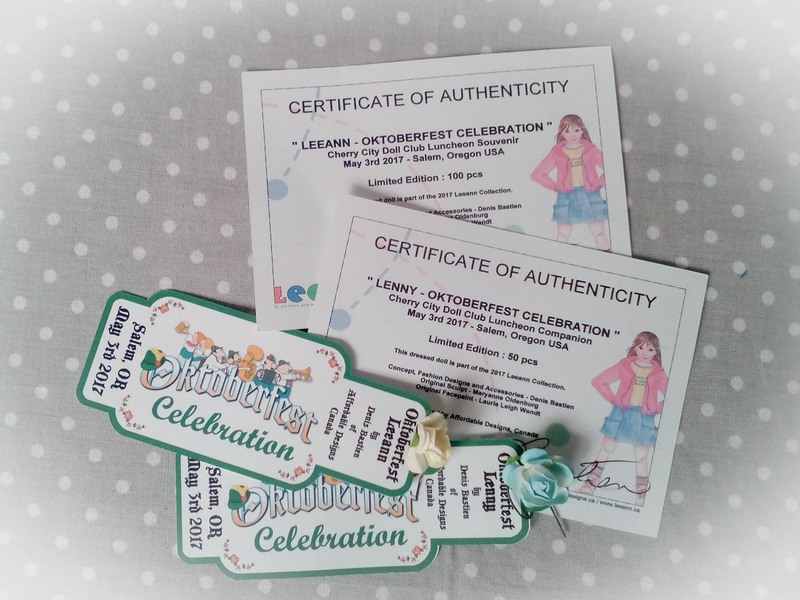 Helen: All your dolls have the certificate of authenticity. Is it a kind of quick info about the item, its background? Denis: The certificate of authenticity was created because each item is a limited edition. 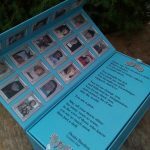 On one side it has all of the details about the items, on the other side I let Leeann write a page of her “diary book” in which she shares a story about the item. Yes, I do write those myself. Remember, I am the only employee at Affordable Designs – Canada. 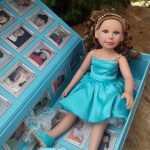 Helen: Do you give names to all your dolls? LEEANN, LENNY, LENEDA, LEROY, LINLIN, LIANG, finally LOULOU… there’s a funny sequence of names starting with L. Hope it’s not for nothing. What does that mean? Denis: It all started with Leeann. Then when I added new characters I decided to give them “L” names as I felt it would be a good marketing hook. 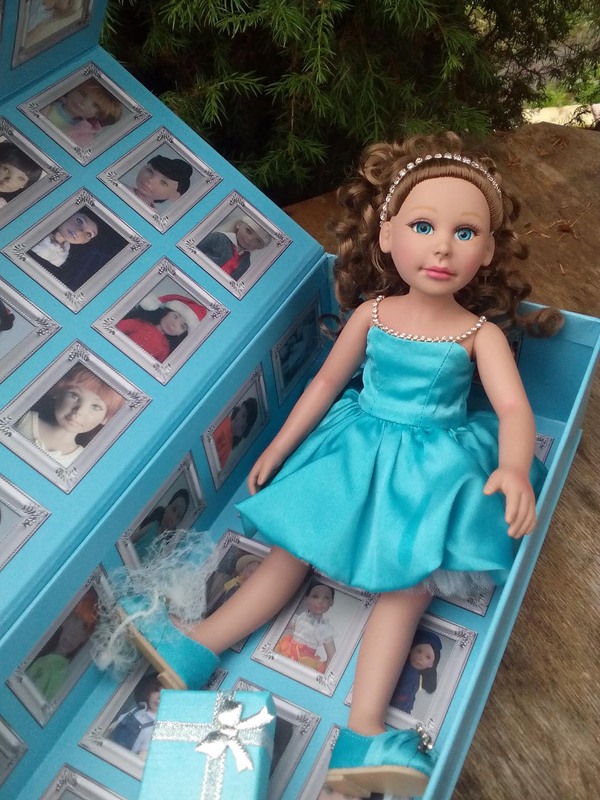 Helen: Each doll seems to have her own story. 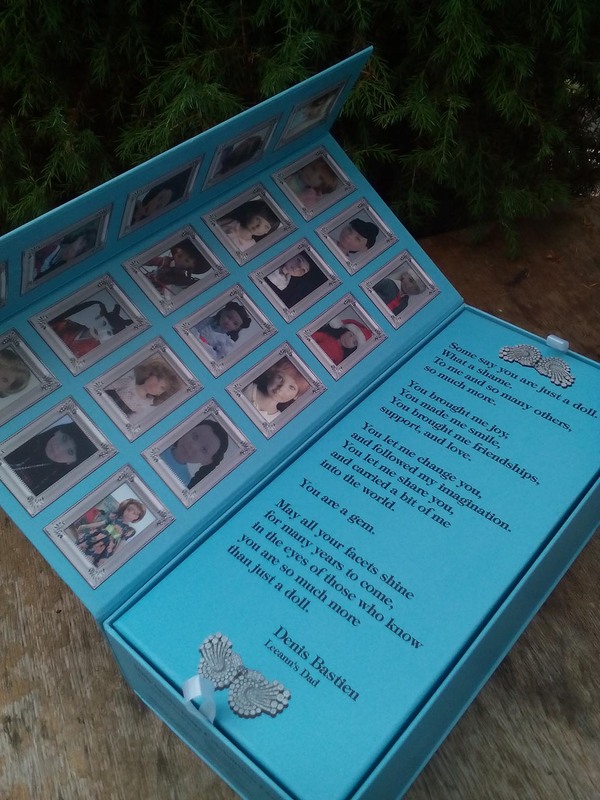 For instance, Leann plays an amazing miniature Grand Piano, makes some notes in her diary, keeping it in a safe place so that no one could read it. Where do you get these great ideas? Denis: I do not know where the ideas come from. All I know is that they come easily to me. Just like the people when enjoy collecting Leeann and her friends, I too feel very connected to their world. Inspiration comes easily to me. Without a story, a concept, a theme, these would just be toys. It is through imagination that they “come to life”. Helen: In a quick overview of your company’s life, you said that you started with eBay. What made you move forward and create your own website? Denis: I will be forever grateful to eBay for allowing me to present my work to the world. It is how I started. 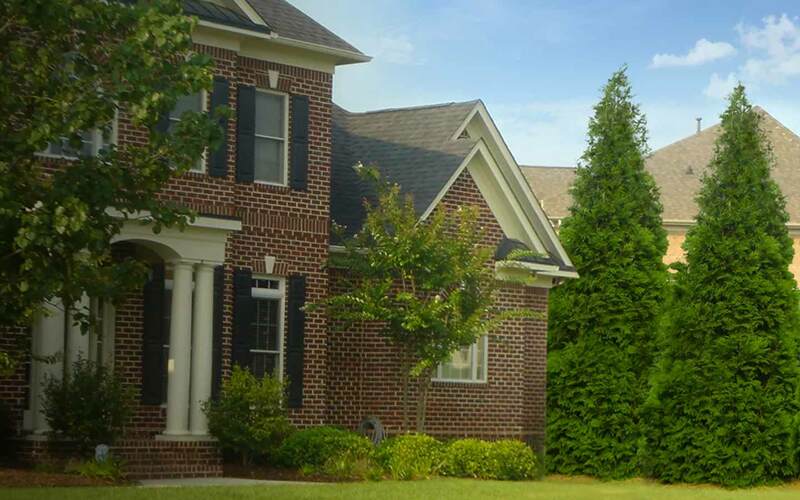 For a small home-based business it is an amazing way to start. I decided to create my own eCommerce website when I felt I had enough followers to create a decent customer base and sell online. As Affordable Designs Canada grew, it was the logical next step for me. Once in a while, I will still use eBay as a way to promote a new character. It is still a great marketing tool. Helen: Of course, word-of-mouth is the most important social media and marketing tool. But when you were just starting off there were no loyal followers or fans. How did you reach your target market? Was it hard to begin? Denis: I feel I still have a lot of work to do to reach my audience. 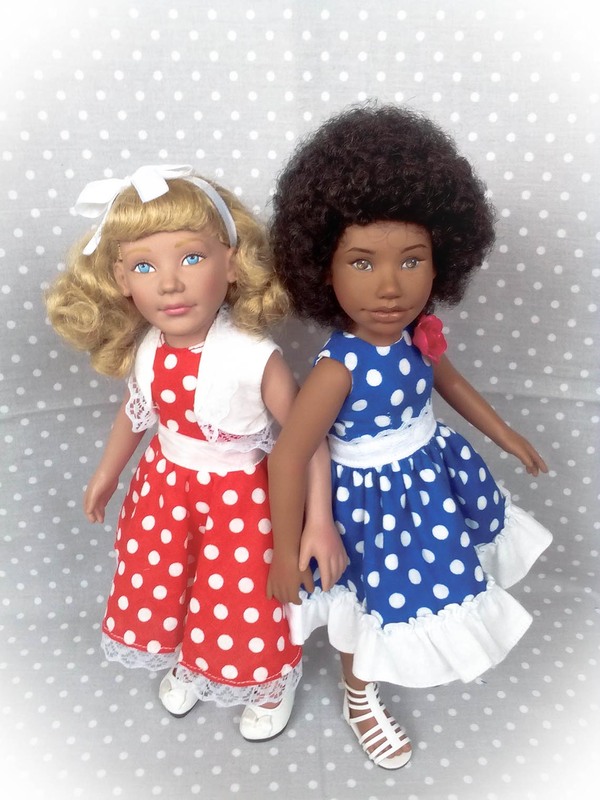 I got little to no support from magazines and organizations because I was bringing “a new approach” to creating/manufacturing/selling dolls. 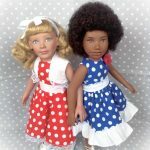 I am one of the first doll companies to target its audience via direct sales. Instead of selling to stores I started selling online directly to customers. At the time that was fairly new and other companies did not like the fact that I could present my creation at very competitive prices by cutting off the middleman. 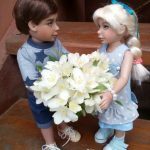 But I believed in what I was doing and I made sure that the quality of my dolls, detailing of my outfits and shoes, the direct contact with collectors, and personalized customer support would carry the positive word of mouth to keep the eCommerce business going. Helen: What other tools did you use to make your business stand out in a crowd of competitors? Are there any secret lifehacks based on your personal experience? I’m sure there are a few. Denis: Not really, I do my best to create quality merchandise at affordable prices. I listen to the collectors and go where their comments take me. While I would love to be rich and famous, I am happy to be the “proud father” of Leeann and glad I have enough followers to keep me from having to get a “real job” to pay my bills. Helen: April 19, 2017 — New Mexico, May 12, 2018 — Baton Rouge, LA and so on, and on it goes. There are so many upcoming events. What are you doing there? Sharing your experience and thoughts with your soul mates? Denis: Special events are “the icing on the cake”. 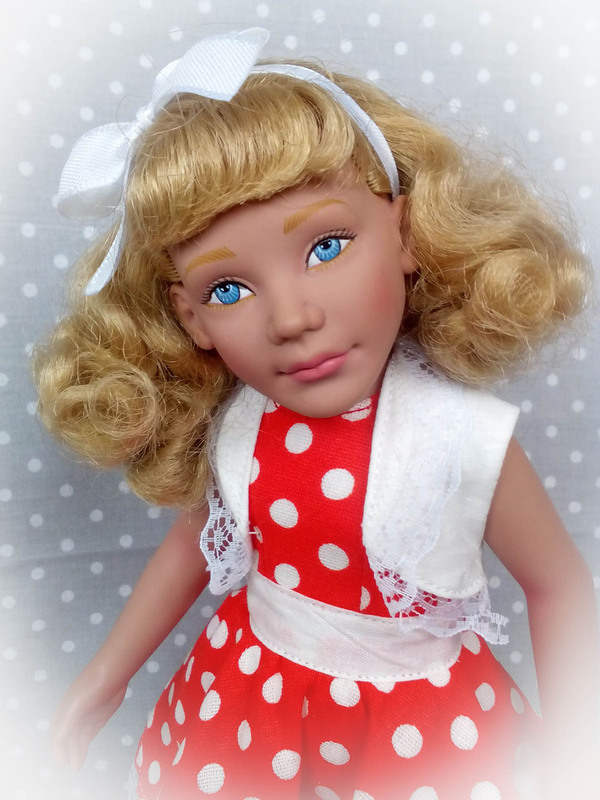 When a doll club decides to commission a souvenir doll from me I feel I have done my work in making the Leeann line appealing to people. I am given a theme, a budget, and off I go. 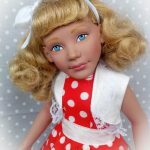 I dream, I create, I design a souvenir doll but I also add multiple accessories, companion dolls, centerpieces. 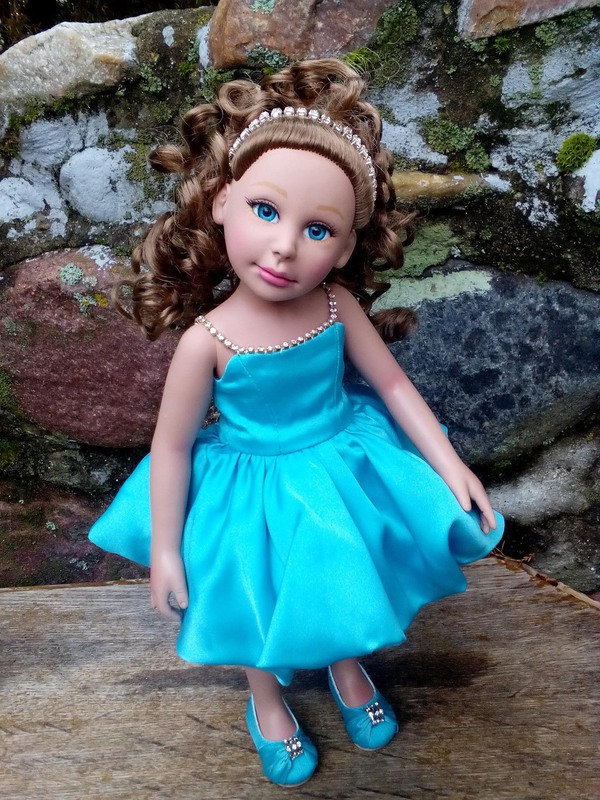 I also attend all events for which one of my dolls in featured. I also make a presentation with live comments. People enjoy meeting Leeann’s dad and I enjoy meeting them. 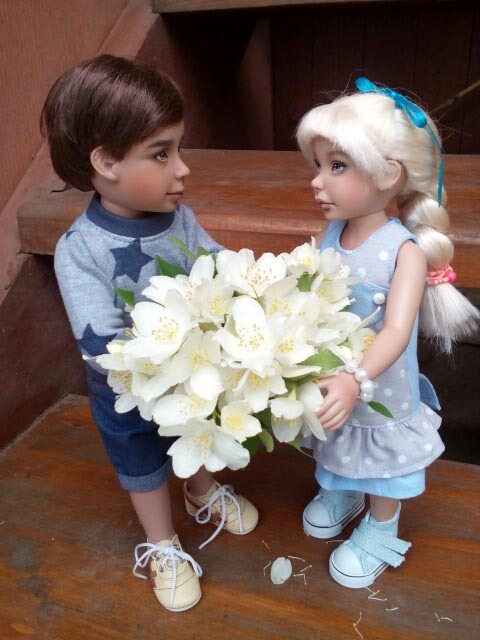 In the same spirit as “direct sales” being the new way of selling dolls online, I felt large doll convention would soon become a thing of the past and started traveling to collectors instead of expecting them to travel to me. Helen: You’ve launched the Facebook group earlier this year and its members are already rather active. Looks like you’ve got many fans around the globe ready to follow you. What do you think they love most? Is it the story created around these toys, some kind of philosophy or the toys themselves? Denis: I must first say I was afraid of Facebook for the longest time. I love people, I love interacting with people, and I feel that social media is changing the way people interact with each other. And not always in a good way. I feel there’s less and less face-to-face contact, people have more Facebook friends than real life friends. But people were asking why Leigh Ann didn’t have her own Facebook page so I caved in and created one. I have to be honest and say I’m having a lot of fun. Well, Leeann is having a lot of fun. I try to keep it fun, informative, exciting and inviting so that people participate. So far it has been amazing. There’s been a whole social side to my work since the very beginning. Facebook is now the way to do it. Helen: There is also a LeeAnn’s world group on Facebook, started by one of her loyal fans. Are you planning to link the two together? Denis: There have been multiple Yahoo! Groups in the past, some of them are still active. It is one of those Yahoo group that has created the other Facebook presence. It is my understanding that most participants in the Facebook group are also following de Leon Facebook page. As you know I also publish a monthly newsletter that is shared through an e-mail list. The idea is to reach as many people as possible. Helen: You’ve got a range of carefully-written and inspiring texts and newsletters. Is that you personally who writes them? Denis: Yes, it is all me. WHAT WILL TOMORROW BRING? I know “ALL WILL BE FINE”… for all of us. Let’s see what tomorrow brings. Maybe this is just a “difficult time that will pass”. But always remember that one thing that will never end is OUR FRIENDSHIP. 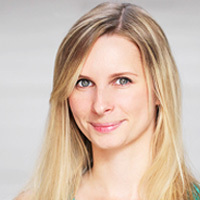 Helen: How does X-Cart help you to bring your ideas into life? Denis: I have to say that I resisted a long time in purchasing an eCommerce solution. Because I am a small business I am always trying to keep my overhead low. I prefer passing the savings to my customers by keeping my retail prices low. After all, it is for them that I am doing all of this. At first, my website was written in HTML from scratch. Then I started using an HTML editor. Then I found a free shopping cart script and incorporated that. Since I am the only employee here it was a lot of extra work to maintain and was often the work that was not always top in the priorities… which was not good for business. As website standards changed I need to redo my website completely and wanted to finally have a stable shopping cart. Many options were based on monthly subscriptions which I do not like. I decided to try X-Cart for free and soon discovered it had everything I was looking for. The ease of adding products, the fact that the templates can be modified, the modern look and feel. I was hooked. Because I wanted to use all of its capabilities and because I understand the work involved in creating such a product I soon decided to buy a license for X-Cart shopping cart. It did not take me long to learn how I could adapt it to my way of doing business. To me, direct contact with my customers is a crucial part of my eCommerce business. The fact that I could turn off certain processes so that the transactions were not 100% automated was a keep factor in my decision to use X-Cart. Mine is not a store where people want to put items in their cart, check out with their credit card, and be on their way. They still want to interact with Leeann’s Dad, share a story, a comment, talk about themselves, etc. I was able to modify X-Cart to allow just that. I love that I can modify things “on the go”. I like that I can add/modify an item in just a few minutes. When I need help I feel there is always someone to offer support, even though I am just a tiny store. I am a big fan. 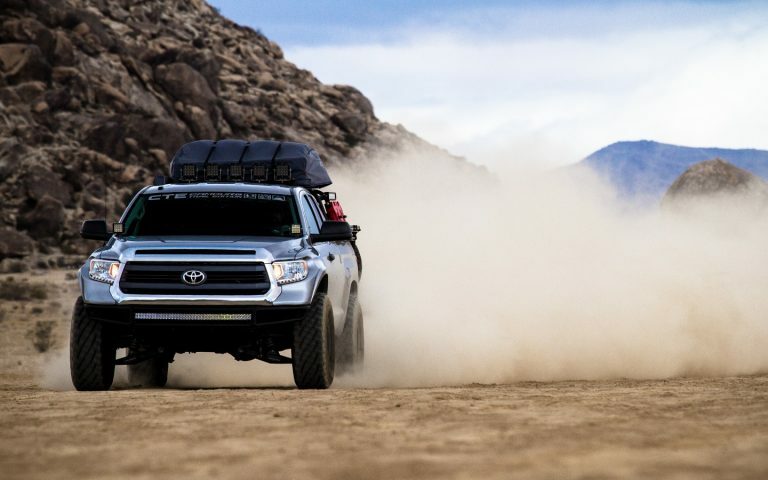 Rob Taylor, the Chief Technical Officer at Rotopax, shares his insights about the way simple design and easy upgradeability help him sell online and grow further. Annelies Liemburg, the owner of mix4max, about buying, calculating, writing descriptions, adding images, contacting customers, and giving them honest information and good customer services.